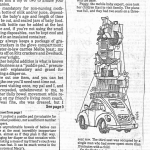 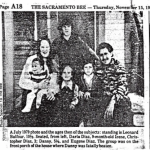 Please click here for the Sacramento Bee Sunday Magazine. 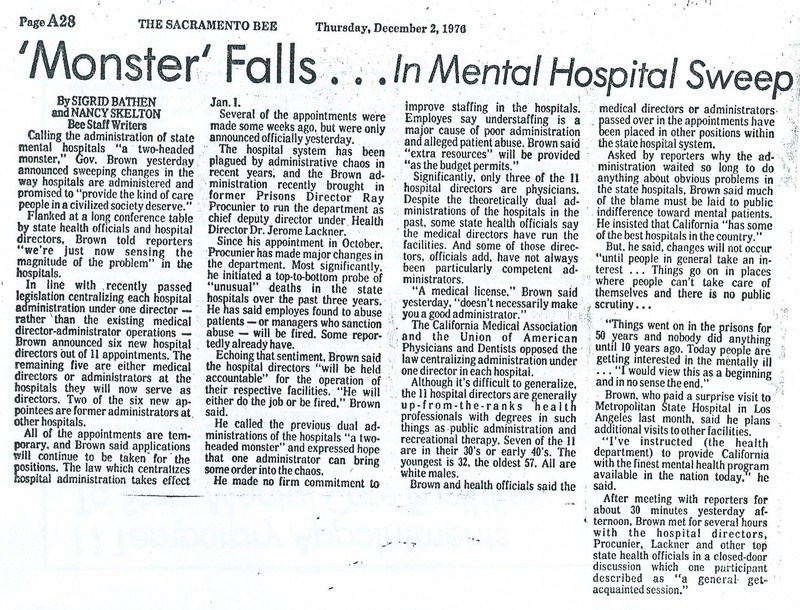 Twenty-five University of California students and graduates from UC campuses were gathered around a long table in a windowless basement conference room in downtown Sacramento for a brown-bag lunch. 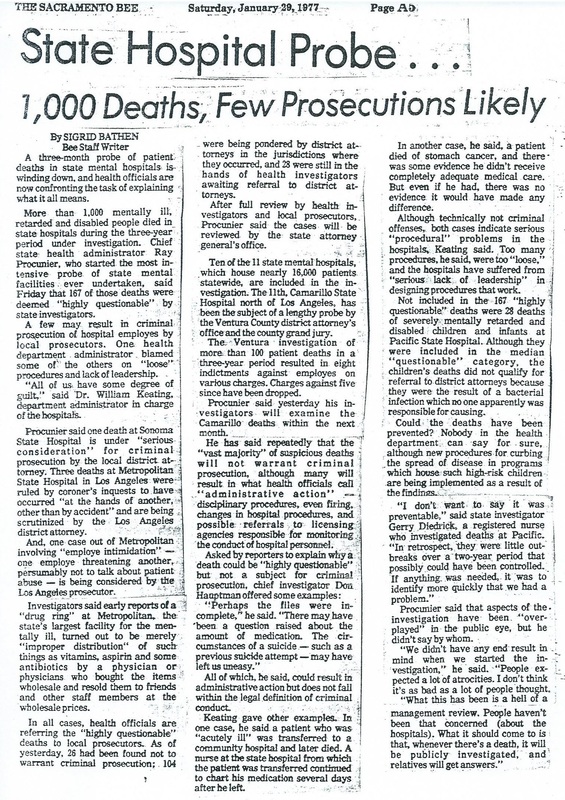 On one side were 10 recent graduates, many working in and around the Capitol, who had participated in a popular public policy program – a program they say prepared them more than any other college experience for the realities of working in politics and public policy. 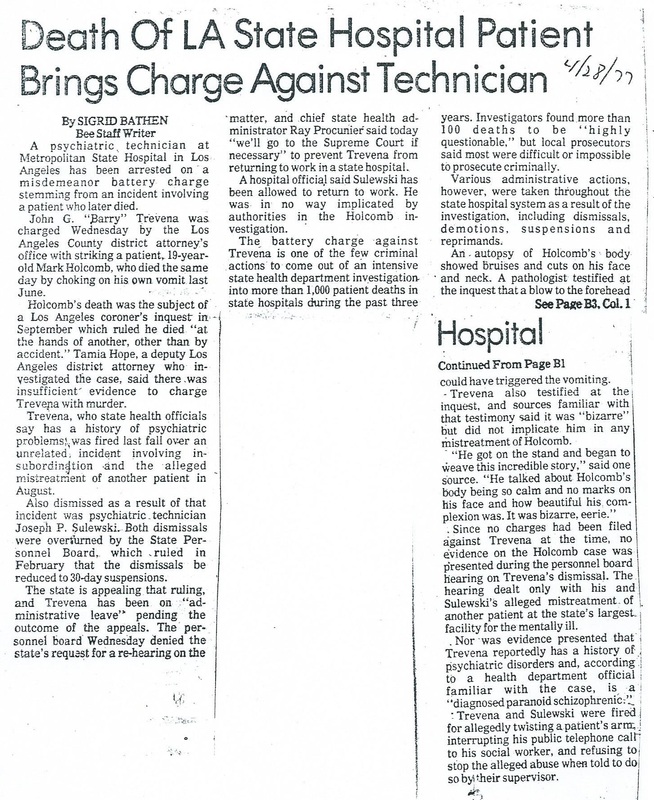 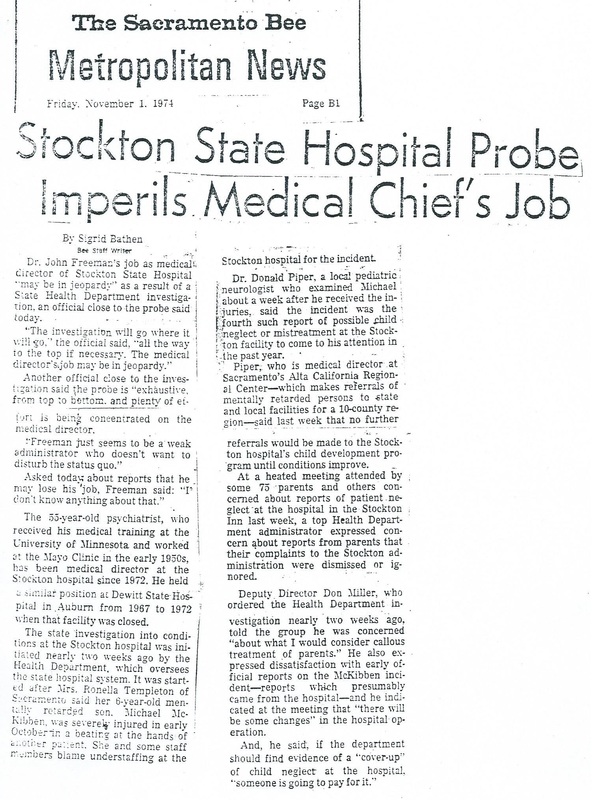 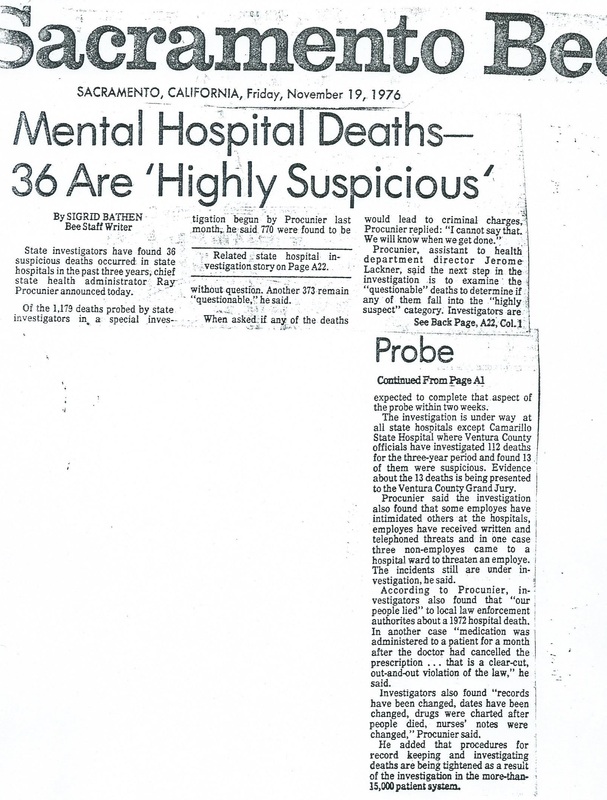 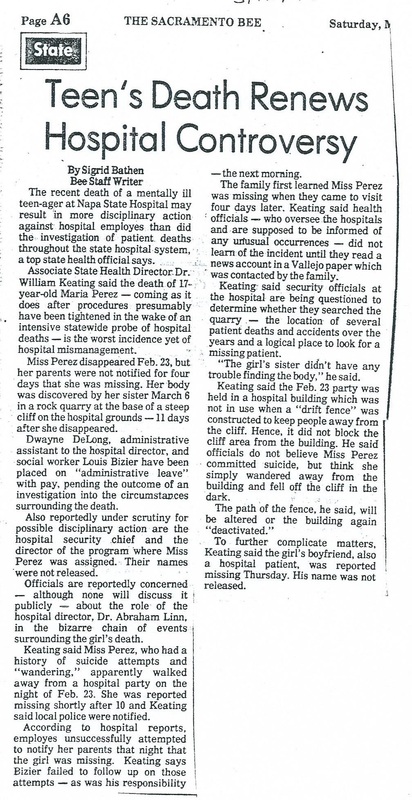 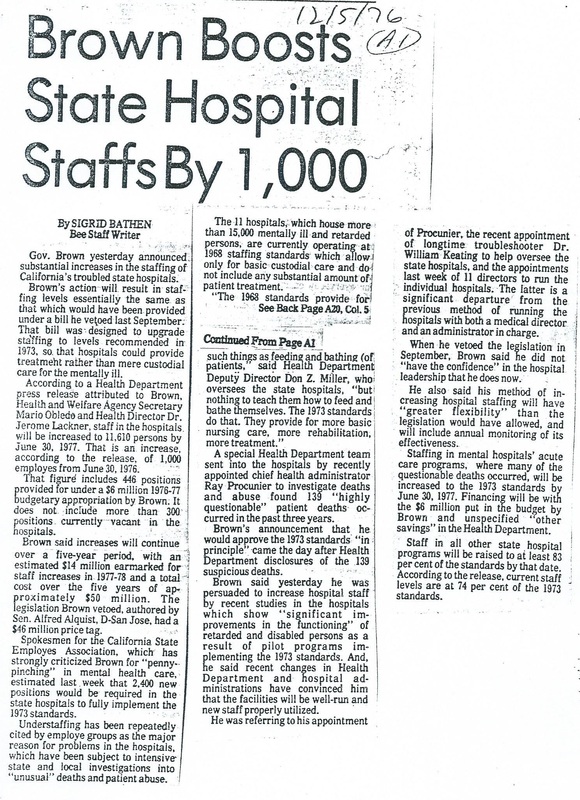 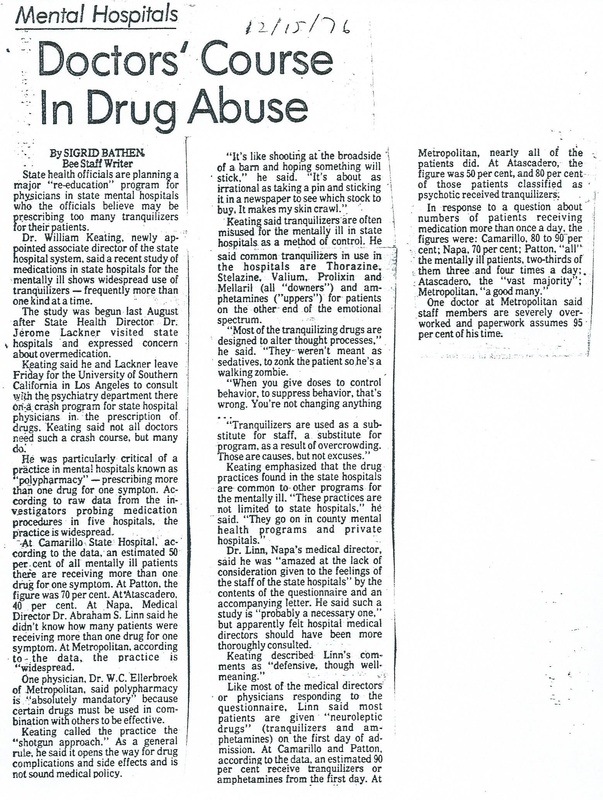 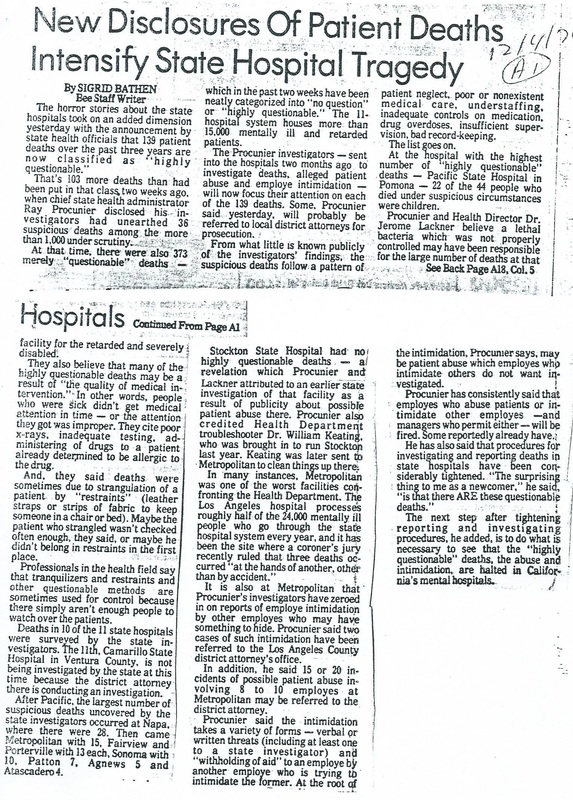 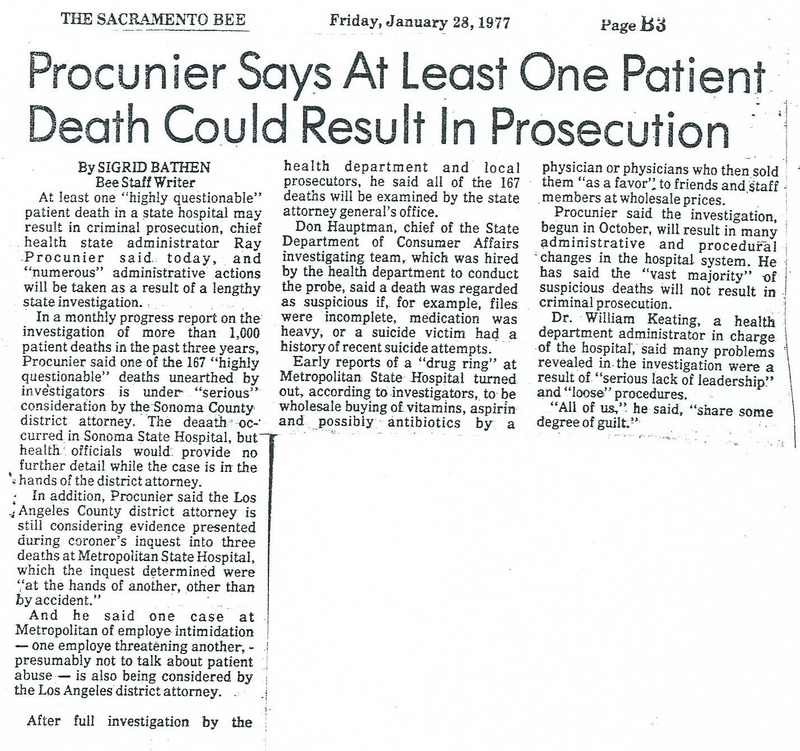 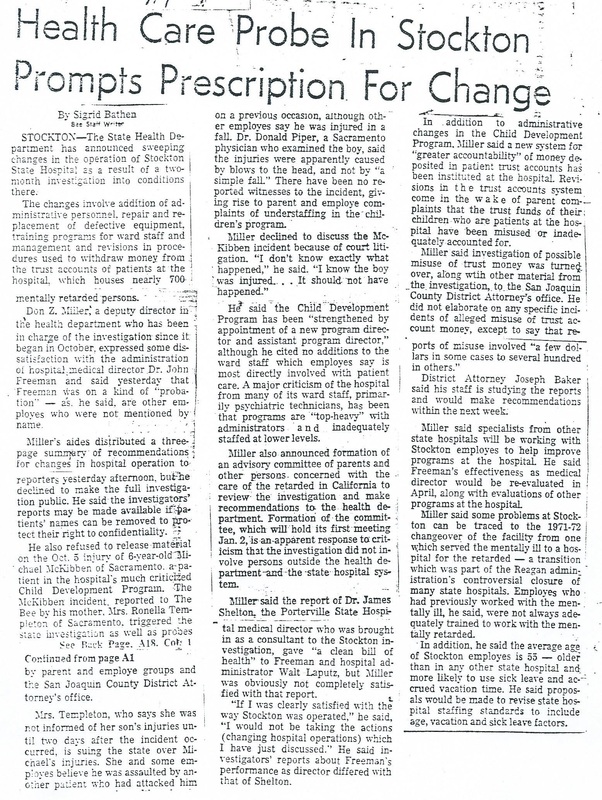 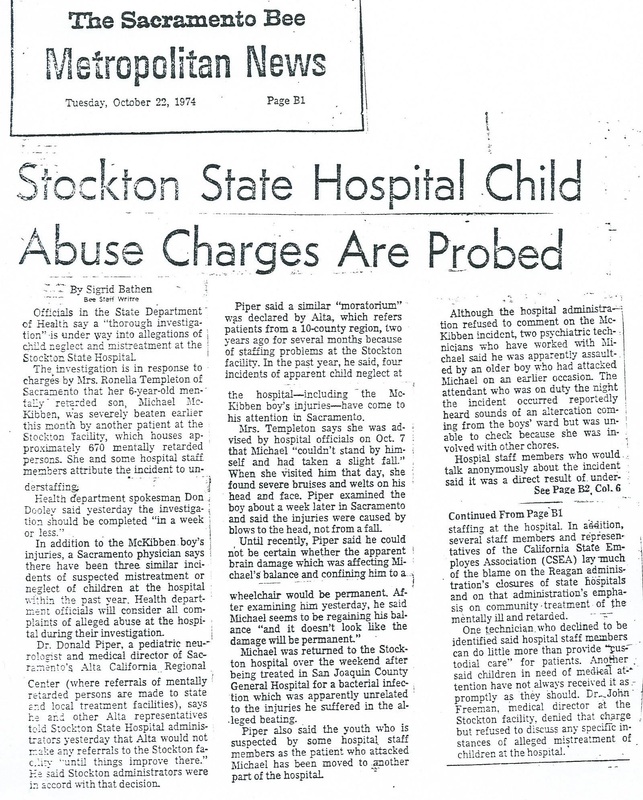 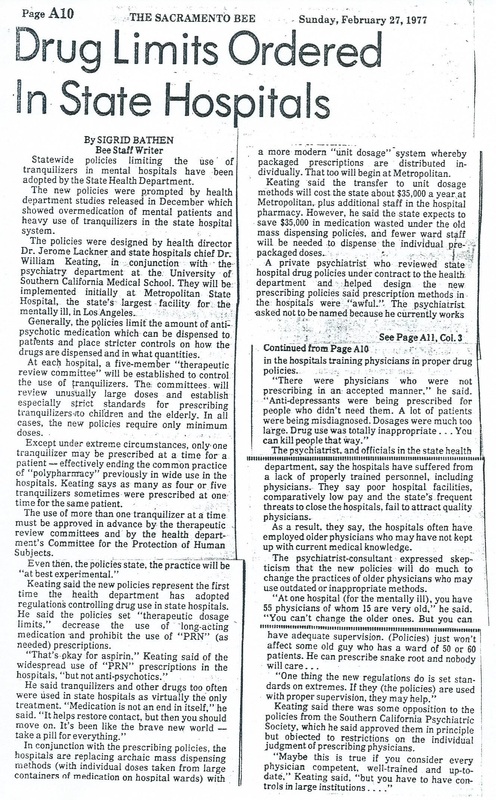 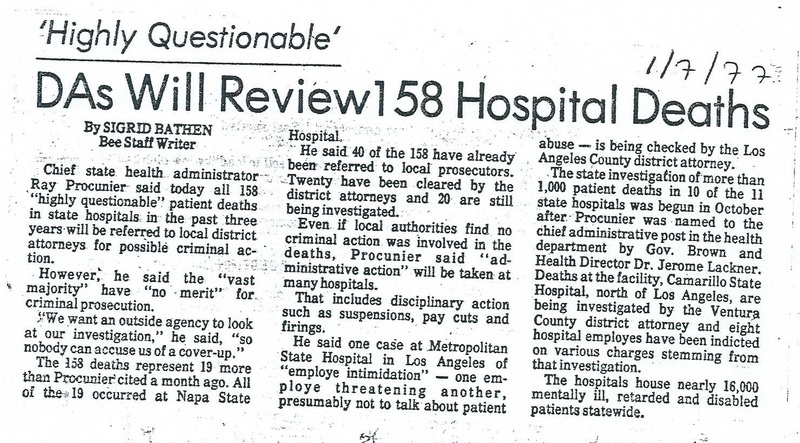 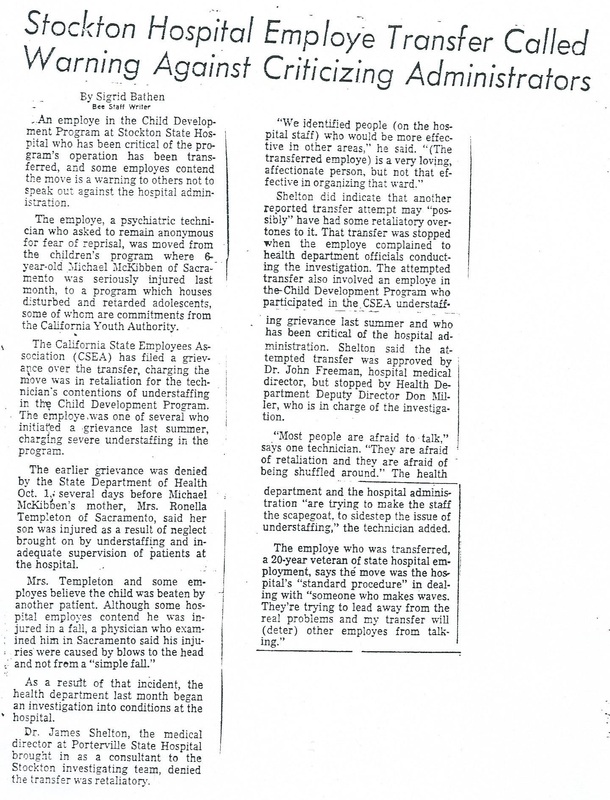 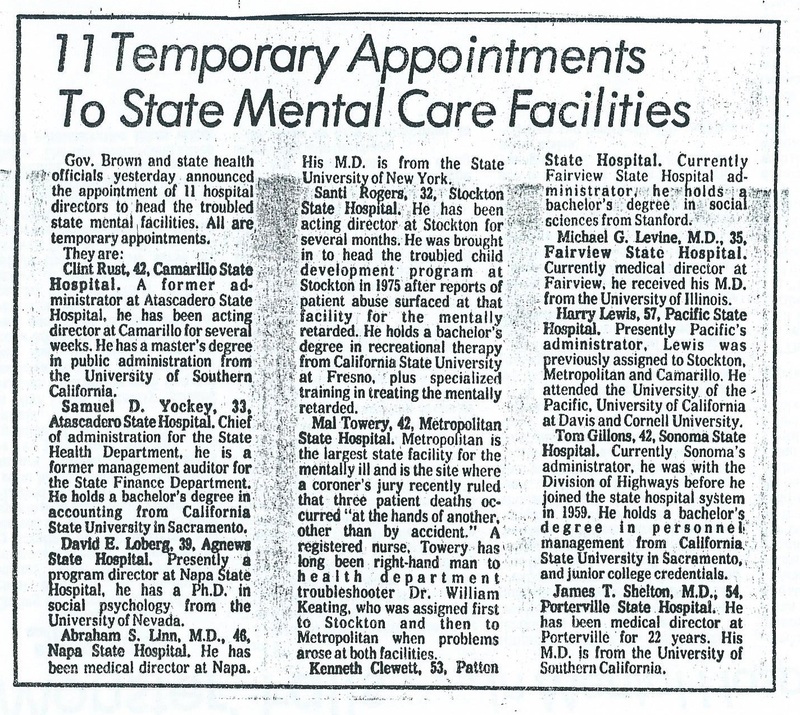 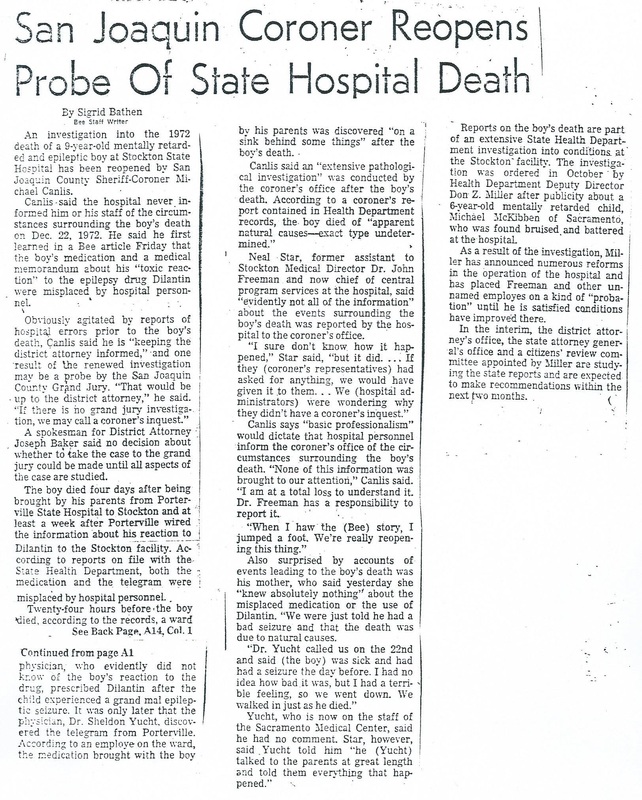 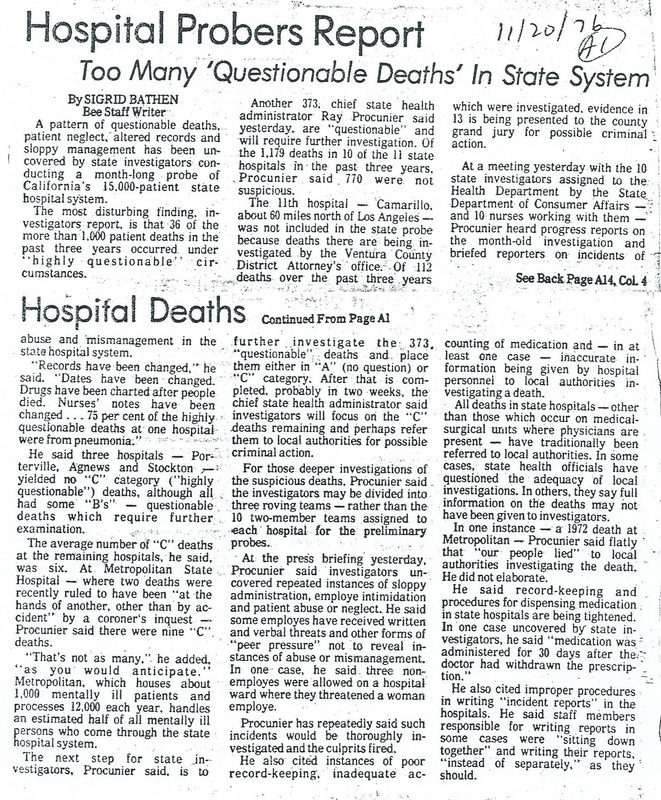 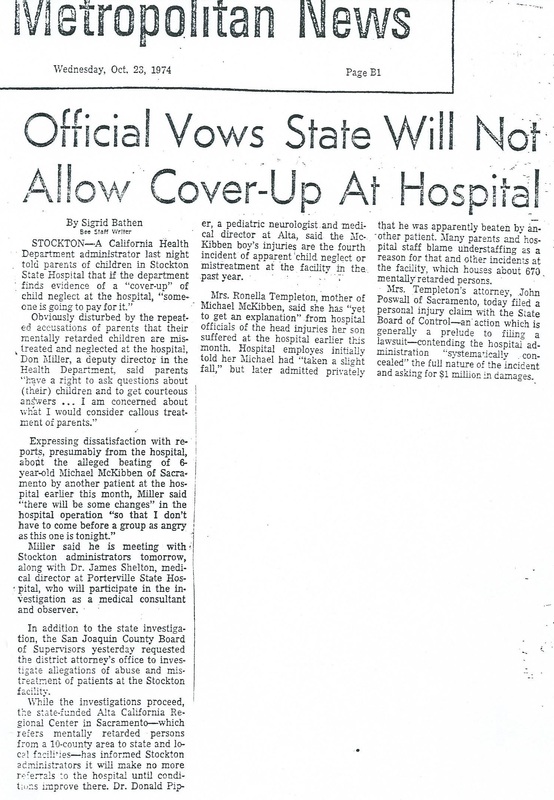 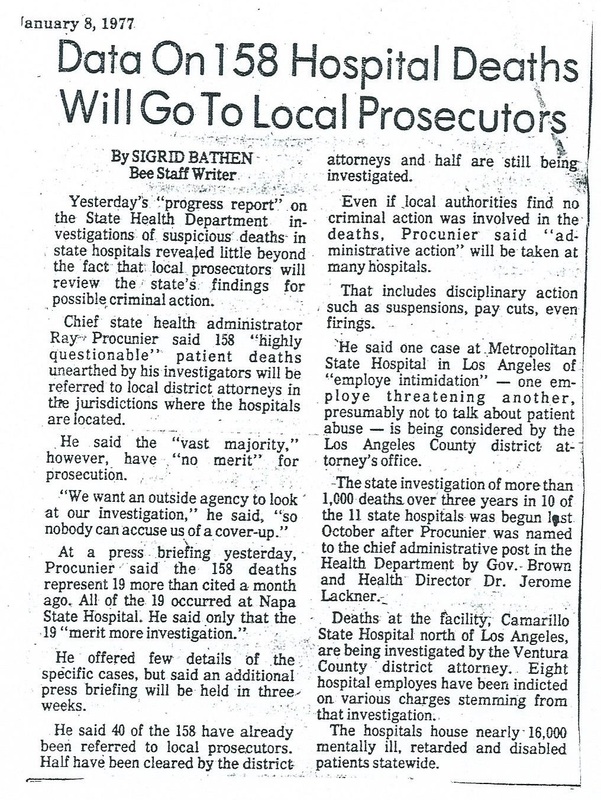 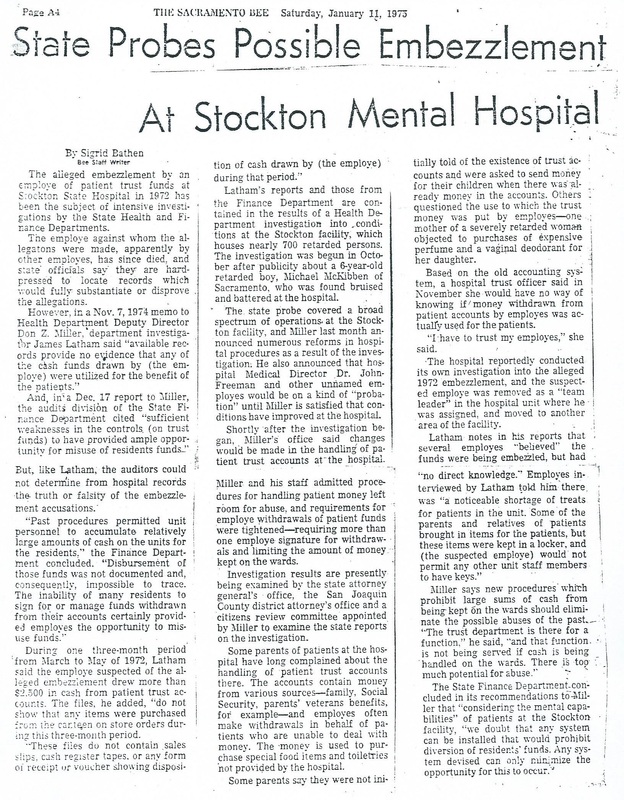 Award-winning coverage of conditions in state hospitals, 1974-78. 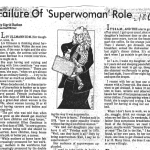 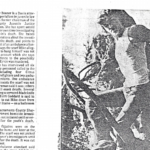 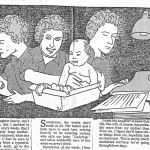 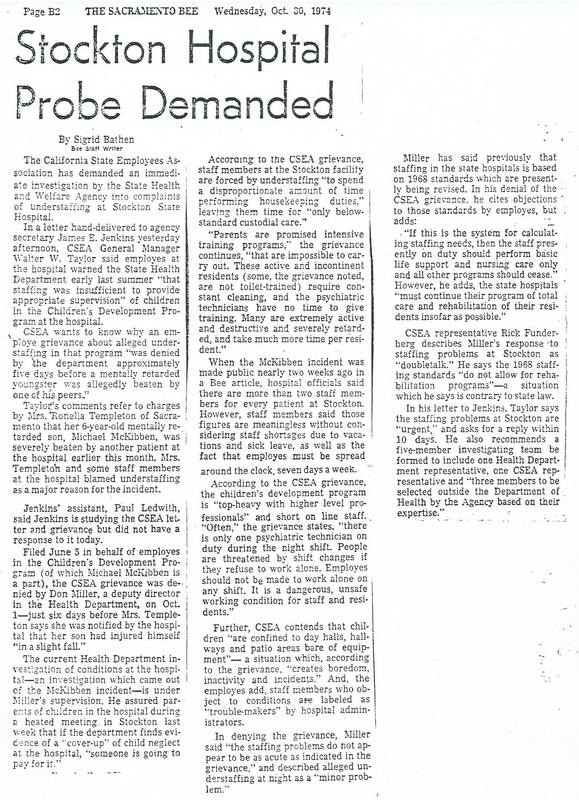 Award-winning coverage of foster care conditions, 1979-80.